In Part 3 ,we saw installation of OAM 11gR2,now in this post we shall run the Configuration Wizard to create a new WLS domain and configure the OAM server as part of the domain. 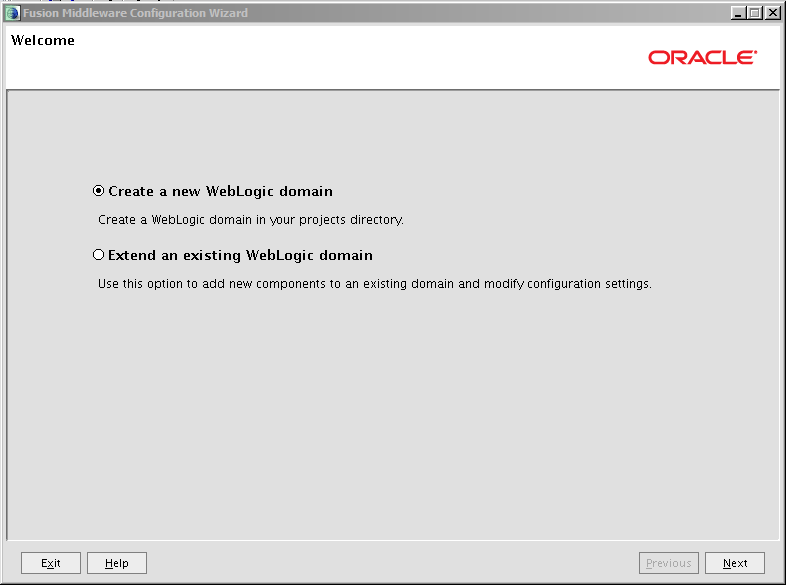 Step 2) Select radio button Create a new WebLogic domain. Note: OPSS & JRF is automatically selected. 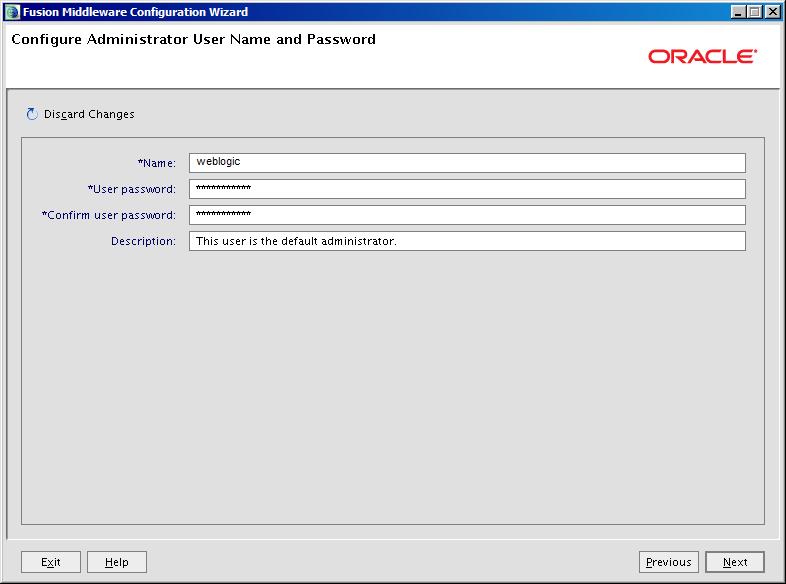 Step 5) Specify password for weblogic user. JDK Selection : Select or browse jdk location which we used at time of installation. Schema Owner : Name of database user that we created at time of RCU. 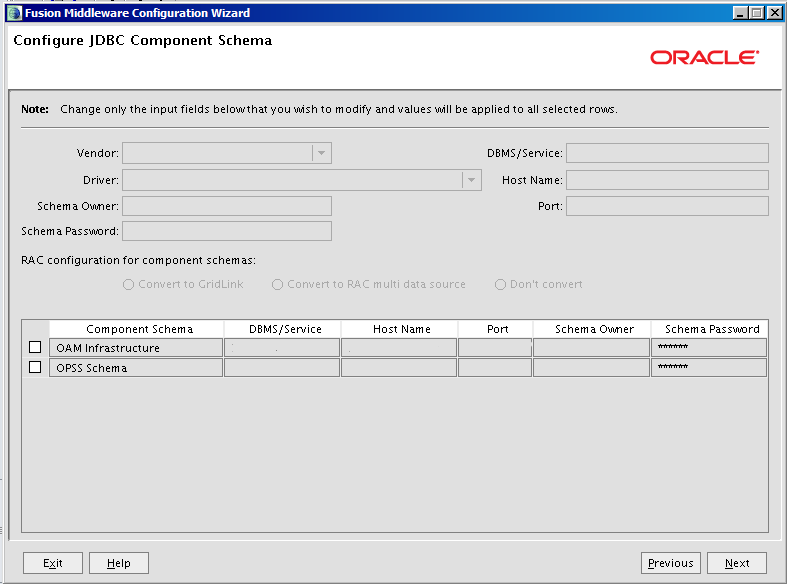 DBMS/Service: Instance name of Database. Port: Port number where database is listening. Step 8) Click Test Connections .If successful then click Next. In case of any error please correct it and then proceed. Step 9) Below are optional configuration . 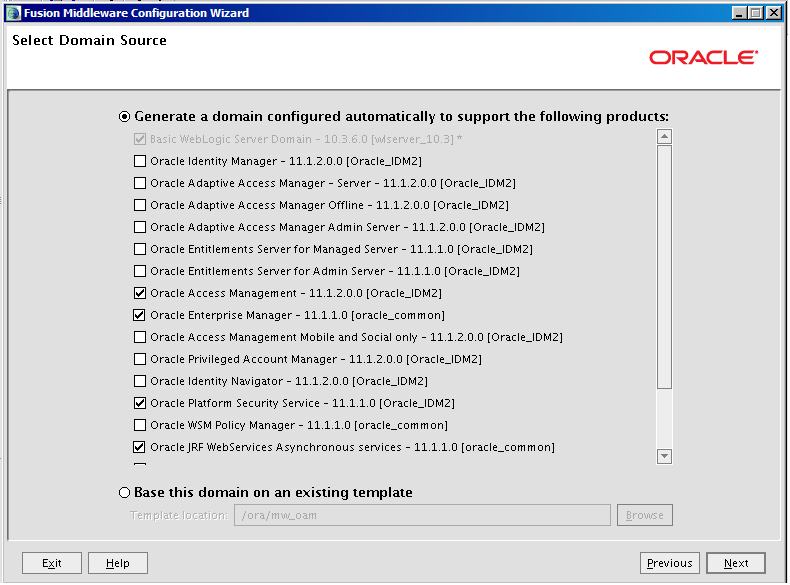 Step 14)Click Create to proceed with configuration. Step 15)Click Done once the configuration completes 100%.